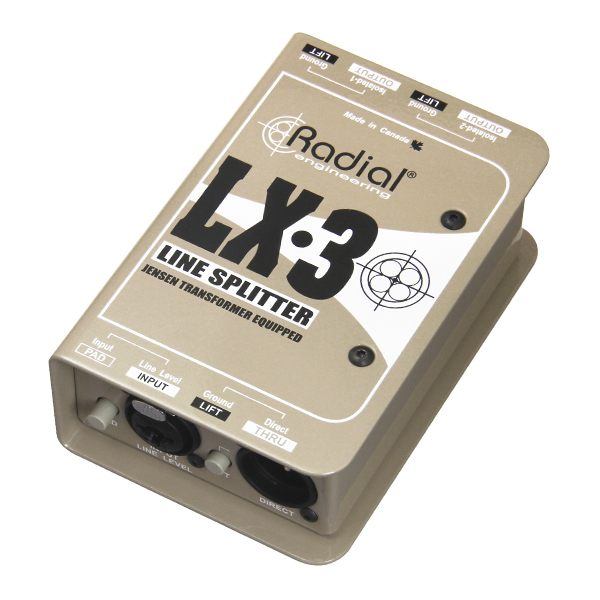 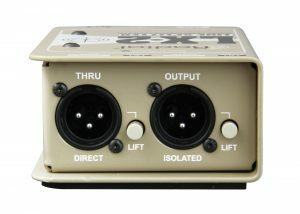 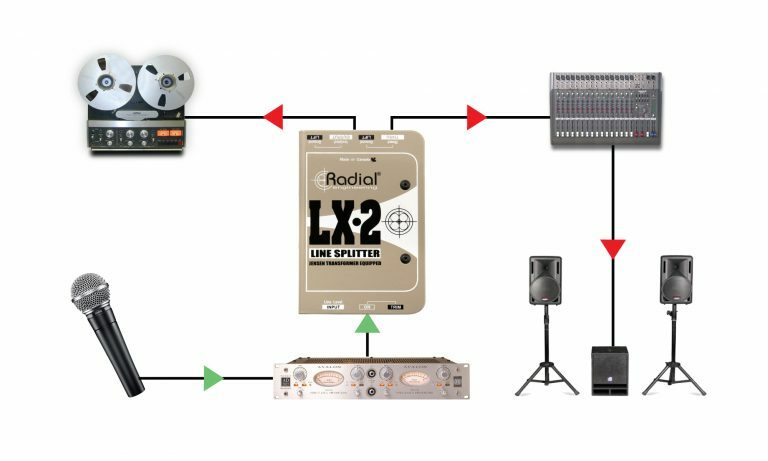 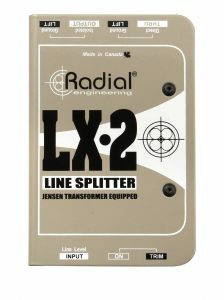 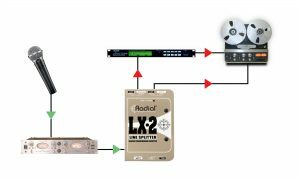 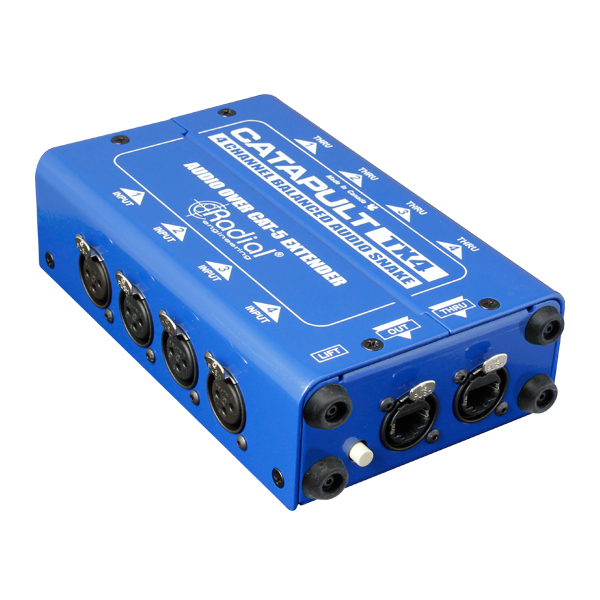 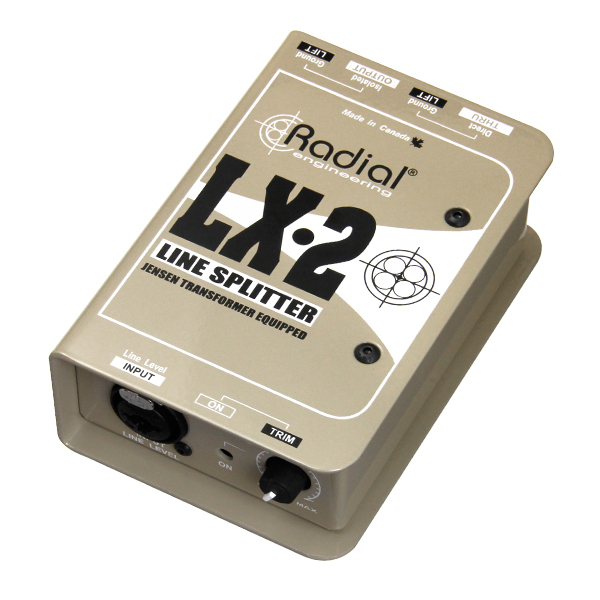 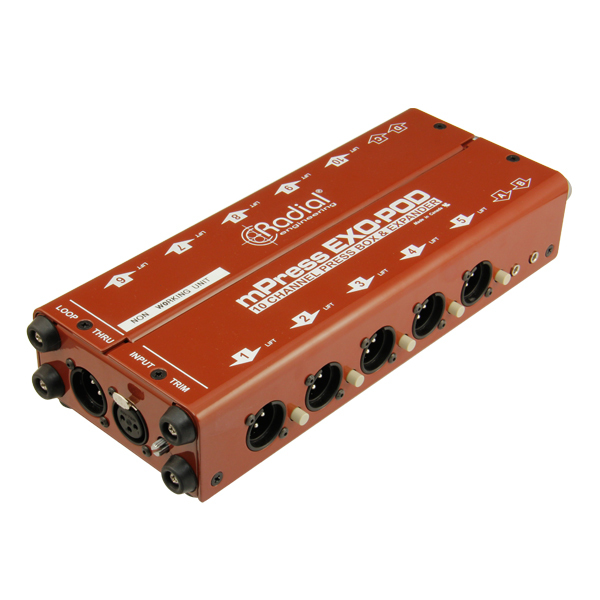 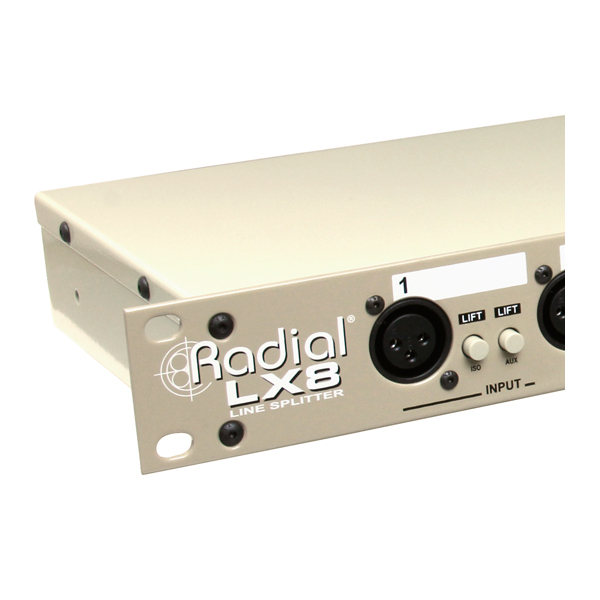 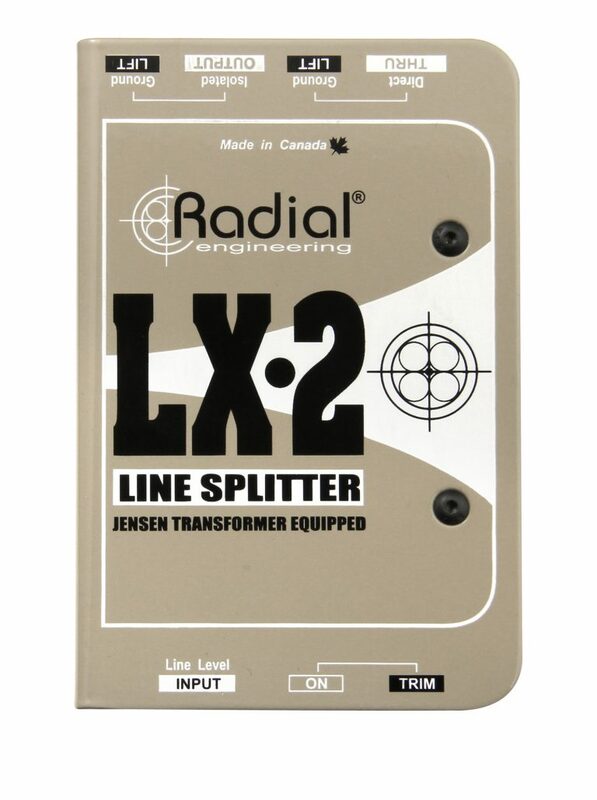 The LX-2™ is a passive balanced line-level audio splitter that allows you to easily send an audio signal to two different destinations at once without noise, while also providing the ability to attenuate the signal when needed. 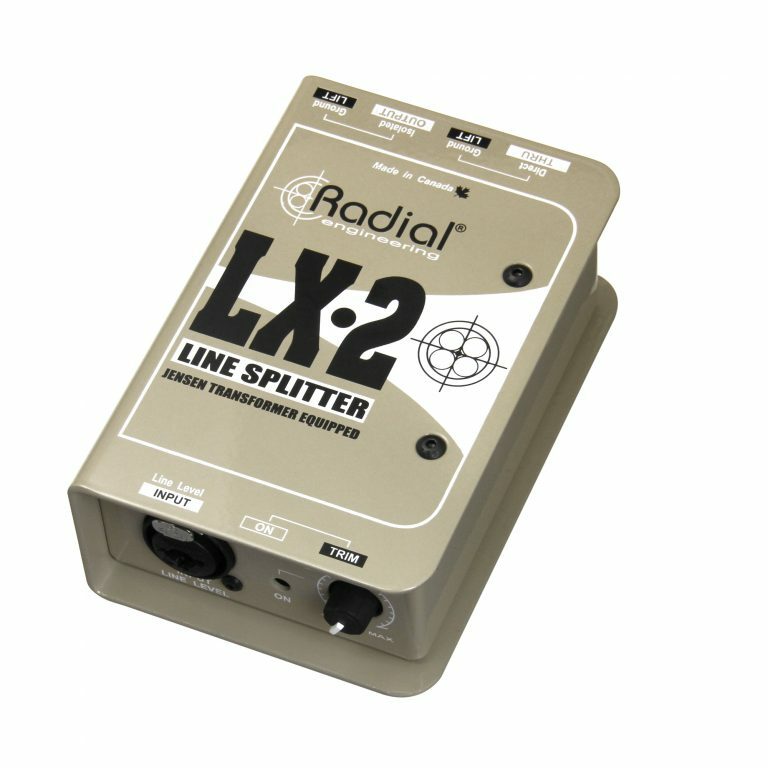 The LX-2 performs the dual functions of splitting a line level audio signal and providing level attenuation where necessary. 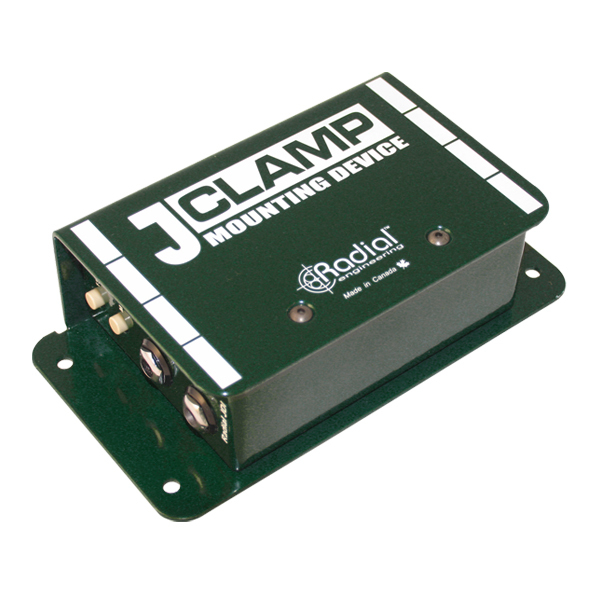 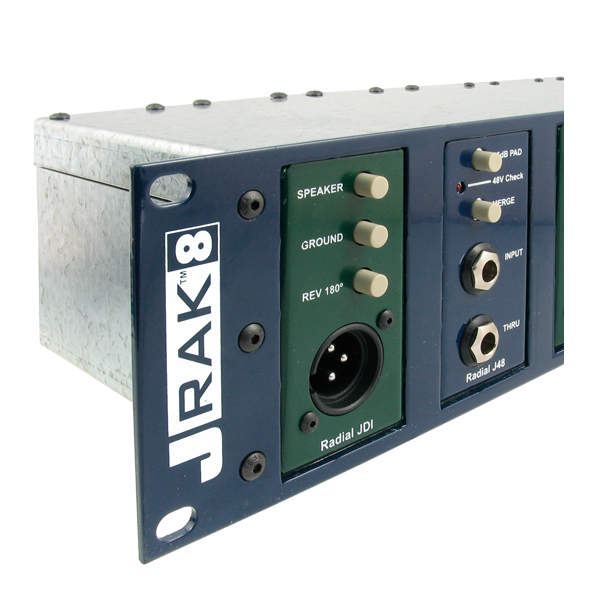 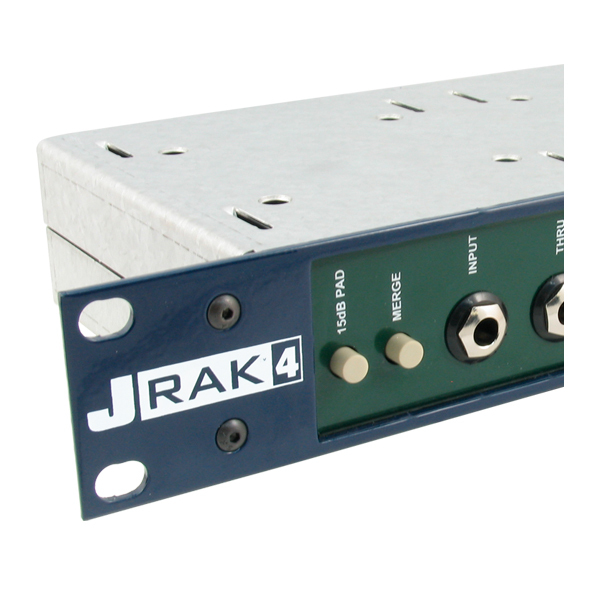 A premium Jensen transformer inside provides exceptional frequency response and phase coherency to ensure that the highest audio quality is maintained, while isolating the two outputs from each other to eliminate hum and buzz from ground loops. 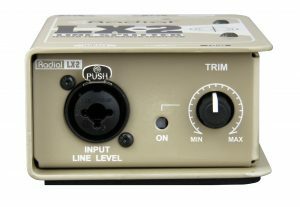 For situations where a level adjustment is required, the trim control on the LX-2 allows you to attenuate overly hot signals. 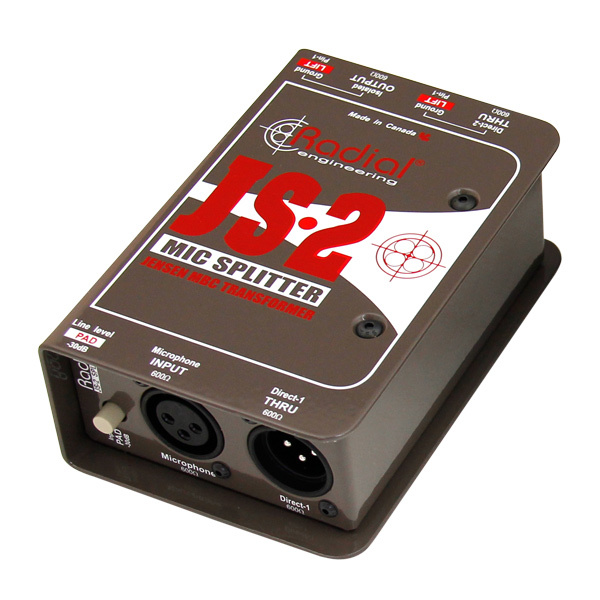 This gives you the ability to drive your mic preamps hard to achieve coloration, while trimming the level at the LX-2 to avoid clipping the inputs of your recording interface. This trim control is activated by a recessed ‘set & forget’ switch; if attenuation is not needed, simply disengage this switch to prevent accidental and unwanted level adjustments. 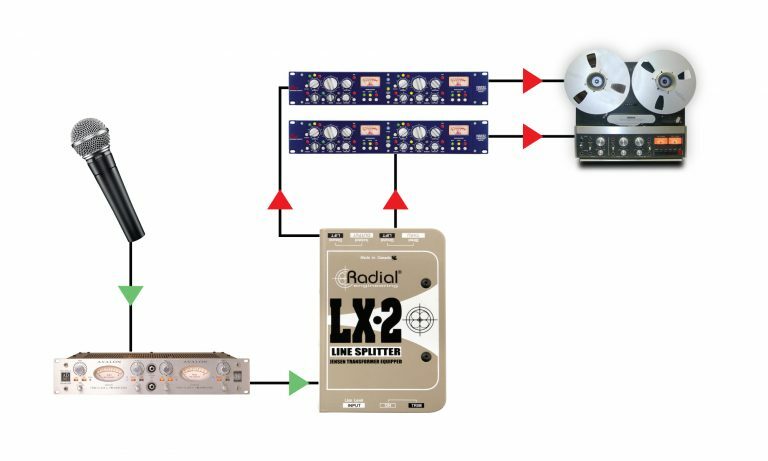 Send the output of a single preamp to two compressors simultaneously. 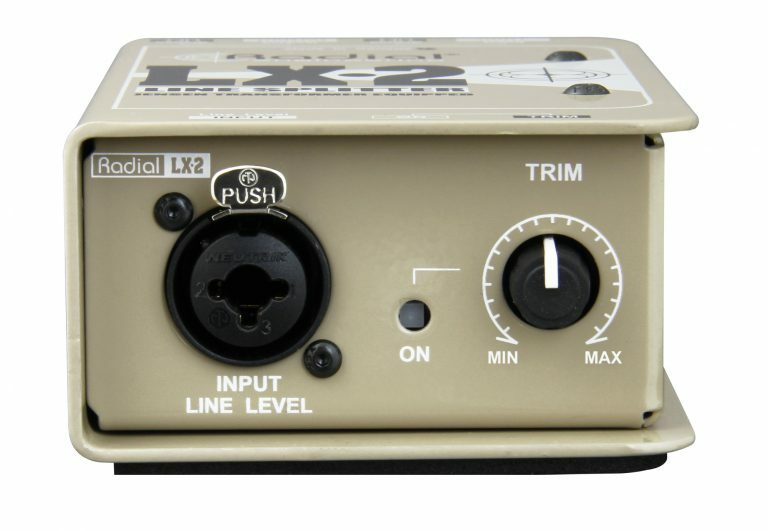 Use the level trim to push your preamp harder for coloration without distorting the compressor inputs. 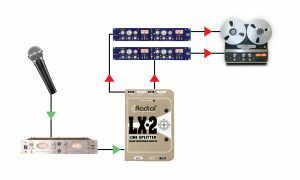 Split the output of a preamp to feed an outboard effects device while also sending a clean signal to your recording interface. 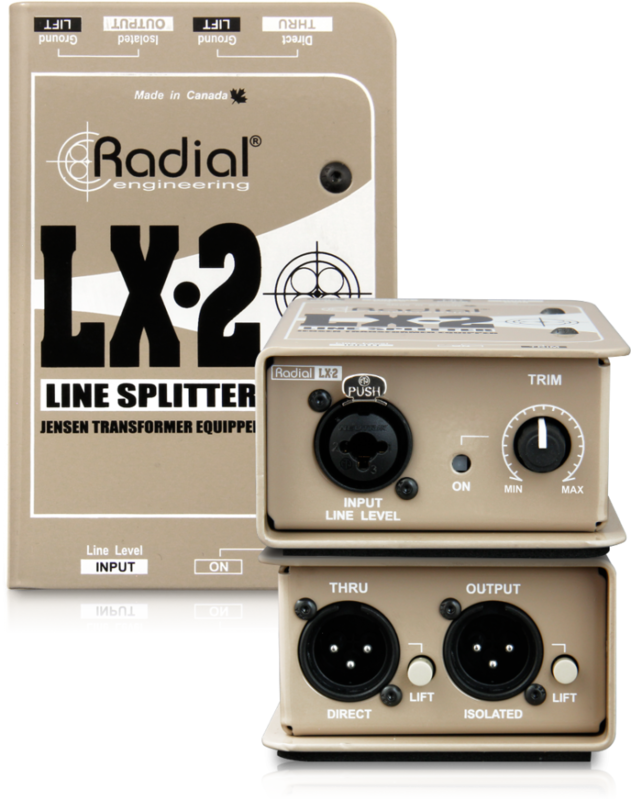 Blend the signals together in your DAW for parallel processing.